Finding your first bike, the first one you truly love, is a monumental decision but one that will change your life. 2012 was a dark year for me. I survived the end of a long term relationship, using distance running as my outlet. During training for an ultra marathon, the pain in my left foot could no longer be ignored. 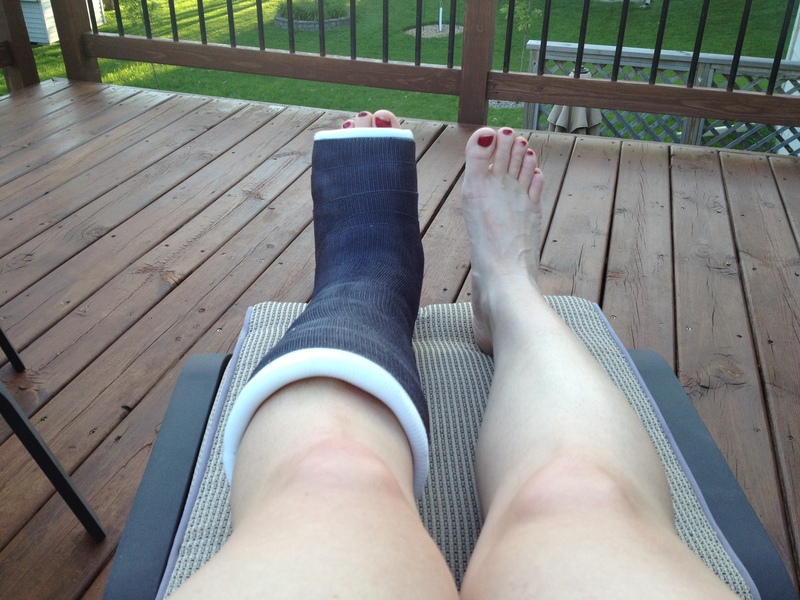 I listened to reason and finally saw a doctor who gave me the devastating news that I had given myself a severe stress fracture. She said I needed to spend months on crutches and weeks after that wearing a walking boot. I saw exercise, my outlet and my bright spot at the end of the tunnel, fading away. The months rolled by and I was finally allowed to exercise again, and my physical therapist recommended biking. It had been over 15 years since I had last ridden a bike, and I had a strong aversion to biking. I remembered it as something I hated. As a child, my dad took our family out on grueling bike rides. I have distinct memories of feeling miserable climbing the hilly area around my hometown on endless journeys, suffering while taking the long route to ice cream shops. However, I NEEDED an outlet and so I caved. I borrowed a bike from a friend that was way too big. The feeling of the wind on my face was amazing, but I didn’t enjoy feeling so awkward and out of sorts on this giant bike. I felt unstable, constantly teetering; however, the exercise was my salvation. The feeling of exerting myself, the sweat drops slowly developing on my skin and being whisked away by the breeze … it was pure magic. I enjoyed endurance exercise in the past and really missed having that outlet, and I missed that meditative state that I only find through exertion. However, the loaner bike wasn’t cutting it. 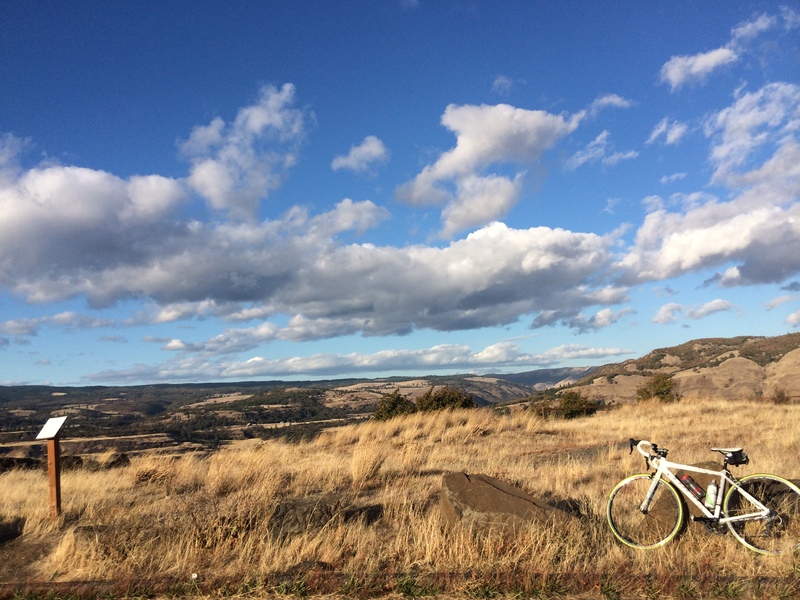 The fit was poor enough that it limited the amount of time I could comfortably spend on the bike, which made finding that peaceful place in my head impossible. 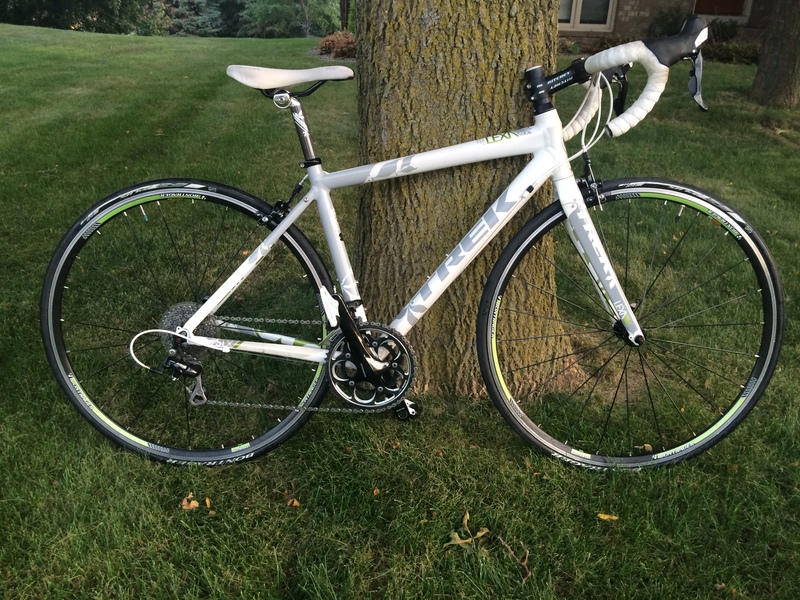 Logically, I NEEDED to buy my own bike. I tried a bike, and another and another, heading to many shops, looking at many brands and models but nothing seemed to click. I was dejected and despondent, and was about to give up hope that any bike would suit my needs. Then suddenly, I found her. She was a little out of my target price range, but she was so pretty I just had to take her out for a spin. She was FAST and whoa she was ZIPPY! I grinned like an idiot while making little laps around the neighborhood streets by the shop, gaining confidence and going faster and faster each time. I quickly took the bike back to the shop, scared that I was falling for this bike. My analytical nature told me that I needed to test ride ALL the bikes in the same line, in the same size, but with cheaper and lower end components and materials. The bike shop staff dutifully brought in all of the available models in my teeny-tiny size for me to peruse. I rode each one around, putting it through the same test as the first bike. The other bikes felt … dead. They were heavier and not as snappy. Shifting was different, I didn’t feel the same concise “click” when changing gears. I rolled back to the bike shop and hesitantly took the first, more expensive bike back out for a spin. Sure enough, a few seconds later my giant smile was back! I had fallen for this bike, and I had fallen hard. Once again I was back at the shop, trying not to give away my enthusiasm. I silently wondered if the salesperson could tell I was absolutely smitten with this bike while I quizzed him about possible discounts, deals on future maintenance, and a future bike fit. You know, all of the practical and boring questions that one should ask in these situations. After all of my questions had been answered to my satisfaction, I tentatively said “I’ll take it.” I knew quality gear was going to be critical if I was ever to get back to endurance exercising again. I had the money and spent no more than I was comfortable spending, but did stretch my original price range just a bit! I loved that bike. She and I were fresh and new together, exploring the city and seeing new things. At first I could bike 30 minutes at a time, adding 5 minutes to each ride when things were going well, and subtracting 5 minutes when things were not. Over the course of the summer my minutes and miles steadily climbed. At the close of summer, I decided to commemorate the marathons I had registered for but couldn’t run. 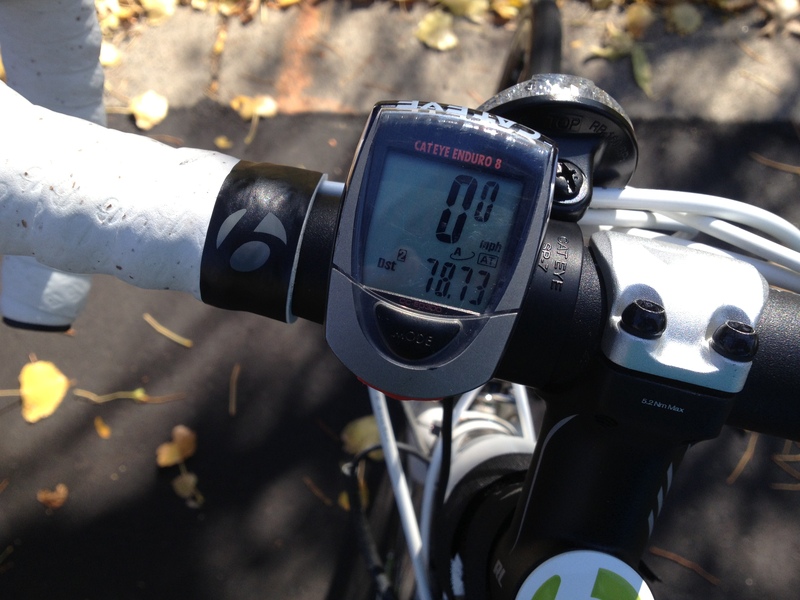 It would be fitting, I thought, to ride a mile for every mile I couldn’t run — 78+ miles in all. I found a training plan online and began racking up the miles. The day of my epic bike ride arrived. I look back and remember it as long and quite painful, but the feeling of achievement when I was done was like no other. My trusty bike had been there for me every “pedal stroke” of the way. I could rely on her with confidence. To go from practically immobile on crutches in the spring to riding almost 80 miles in one day was a monumental accomplishment! Over the next two years that bike and I went many places and logged many miles. In addition to urban exploring near my home in Minnesota, she and I biked through parts of North Dakota, exploring National Parks. We searched out steep bluffs near the Mississippi River in the driftless area of Iowa and climbed until I thought my lungs were going to explode. We biked along the Hood River in Oregon and scaled Mt. 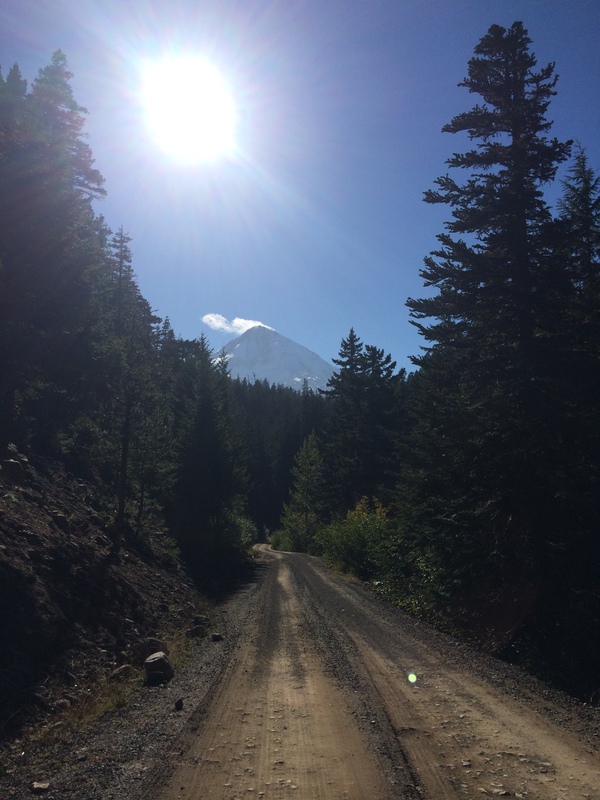 Hood, even braving extra miles on a bumpy dirt road in order to get even closer to the peak! Earlier this year I made the hard decision that it was time to get rid of my first bike, my first love. I now had a fleet of bicycles, upgrading my gear as my riding style changed. As a result, she spent most of her time in the garage, lonely. Eventually I put her up for sale, asking a fair but reasonable price. The person who bought the bike told me that it was going to be a surprise birthday gift for his girlfriend. She was a runner who had suffered some injuries and needed to do something with less impact. I was incredibly sad to see her go. However, I was ultimately comforted by the knowledge that she would be serving her purpose once again: helping a new cyclist fall in love with the sport. That bicycle kicked off a new “season” in my life. Now, I am an endurance cyclist tackling multiple cycling disciplines and dabbling in shorter events too. I own tons of bikes — maybe too many?! (The current count includes a road bike, 2 cyclocross bikes, a mountain bike, a fat bike, a tandem, and a handbike.) Now on most Saturday mornings you can find me on a bike, training for my next adventure. I owe it all to my first love — she’s one I’ll never forget.